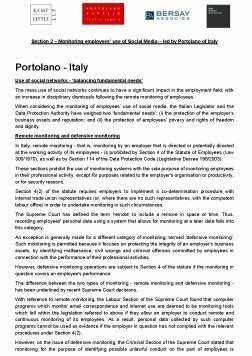 This briefing from leading European law firms highlights the key legal issues in France, Germany, UK and Italy companies should consider when taking action against employees misuse of social media. 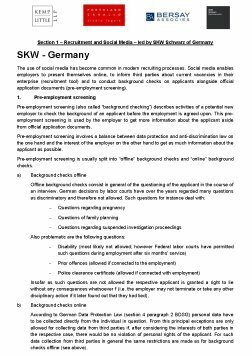 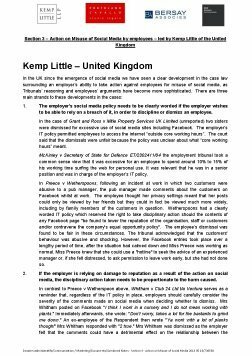 The briefing is based on a seminar by the law firms: SKW (Germany), Portolano (Italy), Bersay (France), at the offices of Kemp Little (UK) in London on 30th April 2013. 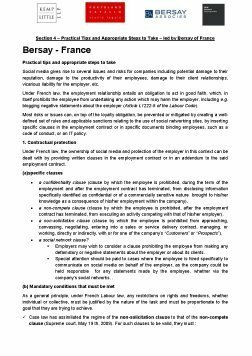 If the employer is relying on damage to reputation as a result of the action on social media, the disciplinary action taken needs to be proportionate to the harm caused.